Yeah, so I lied. This site does have a banana on it. 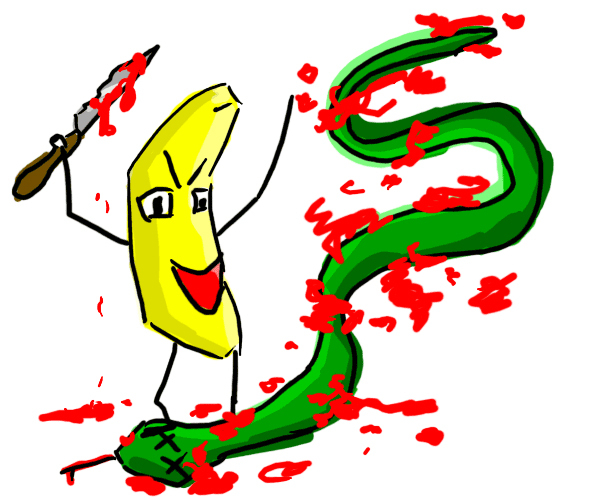 A CRAZY BANANA THAT IS STABBING A SNAKE! STABBITY-STAB STAB! Just goes to show, you can't trust everything you read on the internet.